Isaac Babel was one of Russia's greatest writers. In his lifetime, he won praise for "Red Calvary," a collection of short stories about the brutality of a Cossack regiment in the Red Army, as well as "Tales of Odessa," a collection of short stories about Jewish life in his hometown. Besides Russian, he spoke English, French, German, and Yiddish, and had obtained a doctoral degree in economics. In 1939, he was arrested by the Soviet secret police and executed the following year. His work was banned until after Stalin's death and then published only in edited versions. His complete works in Russian finally appeared in the 1990s; others were edited and translated by his daughter Nathalie Babel Brown. 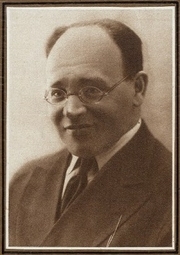 Isaac Babel is currently considered a "single author." If one or more works are by a distinct, homonymous authors, go ahead and split the author. Isaac Babel is composed of 42 names. You can examine and separate out names.